This page details how to configure the in game camera for custom maps made with the World Builder. The Camera Properties menu is located in the Scenario drop down list at the top left of the screen above the main tool bar. To enable a custom camera you first need to check the box labeled Override global camera settings. This is the angle at which the camera points downwards. Lower values give the camera a more horizontal view, where higher values, 90 for example would angle the camera directly down at the map, as if from a birds eye view. The angle this setting refers to is the rotation of the camera ( or map ). 45 will give a diamond shaped mini-map, where 0 will give a square mini-map. Lower values make the camera appear zoomed in as it essentially crops the image and enlarges it to fit the window. Higher values do the opposite, the view / map appears zoomed out and the camera has a wider view. Field of View will then translate this position by effecting the size of the viewing area. Start with something around here for a fairly generic and downward view. Or try something like this for a wider more strait on view. Remember that these are just rough starting points, I recommend fine tuning these to preference. 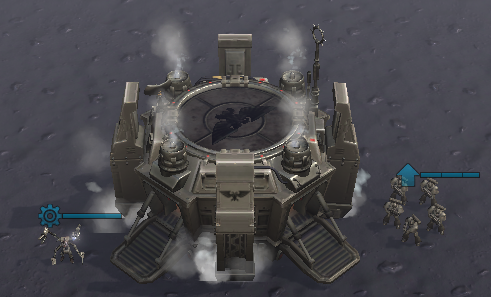 These settings ignore your terrain height. If you raise the terrain high enough, the camera will collide with the terrain and won't be able to move. 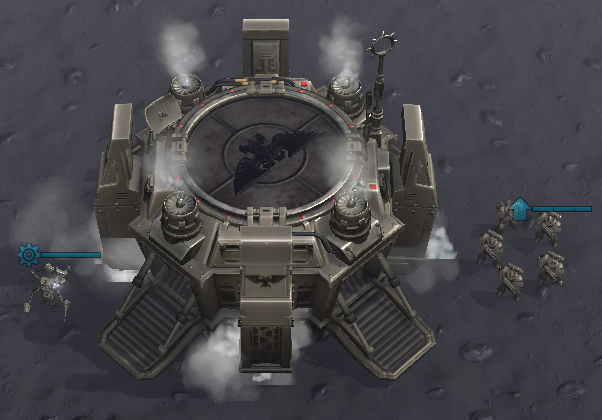 If the terrain height is lowered, units and buildings will appear smaller as the camera won't follow the terrain. To make the camera work with varied terrain height you must edit the Camera Mesh with the Camera Mesh Editor, which is the 'cam' button located at the top right in the visualisation toolbar.